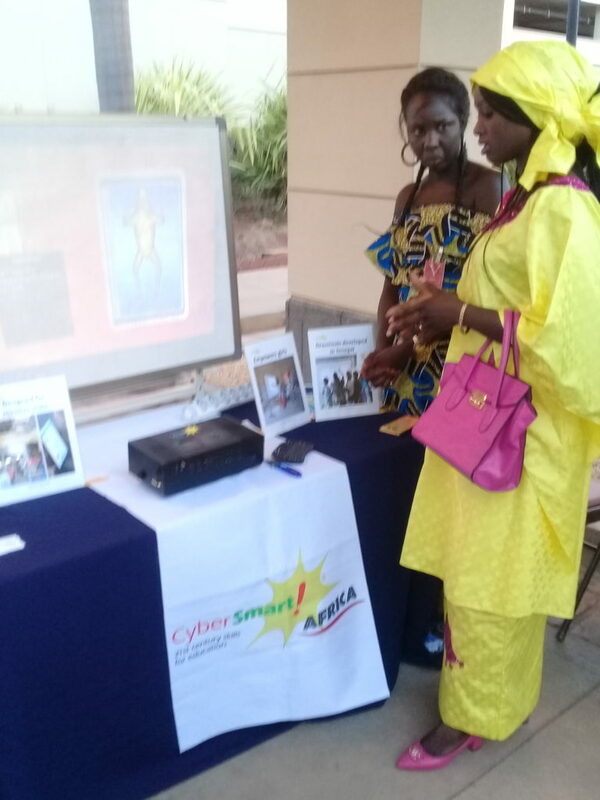 CyberSmart Africa spent the past year refining and enhancing the solar-powered CyberSmart Digital Learning Platform, based on ten years of working directly with teachers and schools in Senegal. This is the first practical model for massively scalable school learning also taking into account lessons learned from numerous education, government and business leaders, including the French Minister of Education, The US Ambassador to Senegal, the UN, UNESCO, The World Bank, and numerous others. My biggest lesson learned from teachers in Senegal is that they need to save time because they are under tremendous pressure to teach all of the curriculum. CyberSmart’s introduction of SmartSenegal.com uses artificial intelligence (AI) and is specially designed to help teachers do what they are already doing — only faster and easier. Teachers are already heavy users of social networks to meet their professional needs; but existing networks are not uniquely designed for teachers. We are adding features that teachers have told us will make their jobs and their lives easier. For example, a knowledge bank of teaching resources allows teachers to share learning content, and commerce features will help them save money. Even though our focus is on educational technology, we are fortunate to have numerous opportunities to serve students, teachers, and their families. Feature film “Tall as the Baobab Tree” Millions of people around the world continue to view the internationally acclaimed feature film “Tall as the Baobab Tree produced by CyberSmart Learning Institute and filmed in the village where I started my work in Senegal over ten years ago. 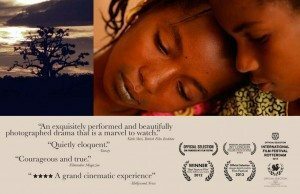 The film speaks to the power of education and its life changing consequences. Delta Airlines partnership Delta Airlines partnered with us to give rural village students a tour of the gleaming new Blaise Diagne International Airport in Dakar, providing them with a concrete example of where their education might take them — perhaps on a Delta flight to New York! American jazz We hosted the first live American jazz content ever to take place in a rural Pulaar Senegalese village to the delight of hundreds of villagers. Classroom renovation Our annual classroom renovation initiative turned into an exercise in student empowerment and democracy-building when students voted on the color of their classroom walls. A vibrant pink won, and teachers report that the students are more motivated as they prepare for the elementary school passing exam. Student healthcare We were again pleased to team-up with Maine (USA)-based Partners For World Health to facilitate medical treatment for hundreds of children and their families in Sinthiou Mbadane, Senegal. Jazz music played live for the first time ever in the rural Senegalese village of Sinthiou Mbadane. Students from Virginia Music Adventures – an internationally recognized education and performance group – are dedicated to sharing America’s unique jazz tradition with the world. To watch the villagers who have never before heard of jazz music was amazing. Everyone was completely engaged! This makes me think about my work with technology. 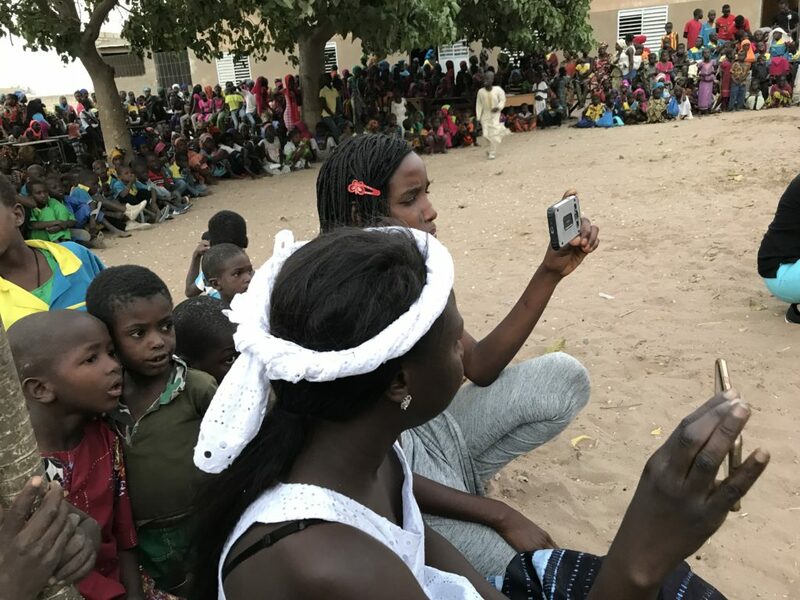 We can’t bring live jazz music to every school but we can bring a world of information – and music – to rural schools in Senegal and other developing nations. The data speaks for itself. Children in sub-Saharan Africa are not learning. But irregular attendance, repetition, and inadequate teacher training are not the real problems. Rather, they are merely symptoms of much larger systemic weaknesses. The international development community, including The World Bank and USAID, feed into the dysfunction — and are partially to blame for it — by funding and then funding again inefficient and ineffective bureaucracies and contractors. There are a variety of solutions and based on our lessons learned in Senegal over 12 years, our 2019 focus is on launching a new, massively scalable education social network – SmartSenegal.com aimed at helping teachers directly. Teachers are already heavy users of Facebook and WhatsApp users and SmartSenegal.com provides them with an even better platform designed specifically with features to meet educator needs. An easily searchable content library providing content that would otherwise be unavailable, coaching groups, and education-focused e-commerce — all to make it easier for teachers. Our 2019 focus on social network growth is core to growing the CyberSmart Digital Learning Platform. Why are the Walls Pink? Even though our focus is on educational technology we are also fortunate to have numerous opportunities to help motivate students. We just renovated an old classroom and turned the process into an exercise of critical thinking and democratic decision-making. Typically, it’s the Ministry of Education that selects the paint color, but this time we let the students select the color options, debate the pro’s and con’s, and vote on the final selection. Vibrant pink won! “I would have never thought of this color,” said their teacher, Abdoulaye Ka. He reports that the empowered students speak proudly of their new classroom and are clearly more motivated as they prepare now for the elementary school passing exam. The gleaming new Senegal Biaise Diagne International Airport is in striking contrast to the elementary school in the rural village of Sinthiou Mbadane. Located — as is the airport — in the region of Thies, the school is off the electric grid. With minimum facilities, the teachers strive to educate and inspire this Pullar community, the most education-challenged ethnicity in this part of Africa. 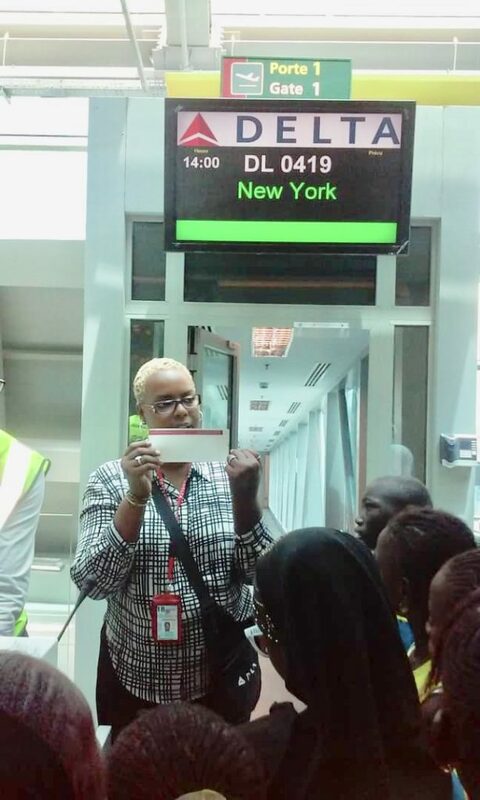 Delta Airlines’ Dakar Station Manger Monique Diaw-Brown teamed up with CyberSmart Africa to provide the students and teachers with a remarkable tour of the new airport. Monique’s openness and enthusiasm totally engaged everyone, particularly when she handed them boarding passes nearly the same as actual Delta’s passengers use! The airport visit was an amazing source of inspiration to these elementary school students, giving them a concrete example of where their education might take them. If they work hard in school, maybe one day these youth will have the opportunity to travel on a Delta airplane and discover the world. What might be considered a common school field trip in more economically developed countries is here a hugely positive force for local and global change. Connecting underserved regions of West Africa requires new efficiencies and innovative business models. 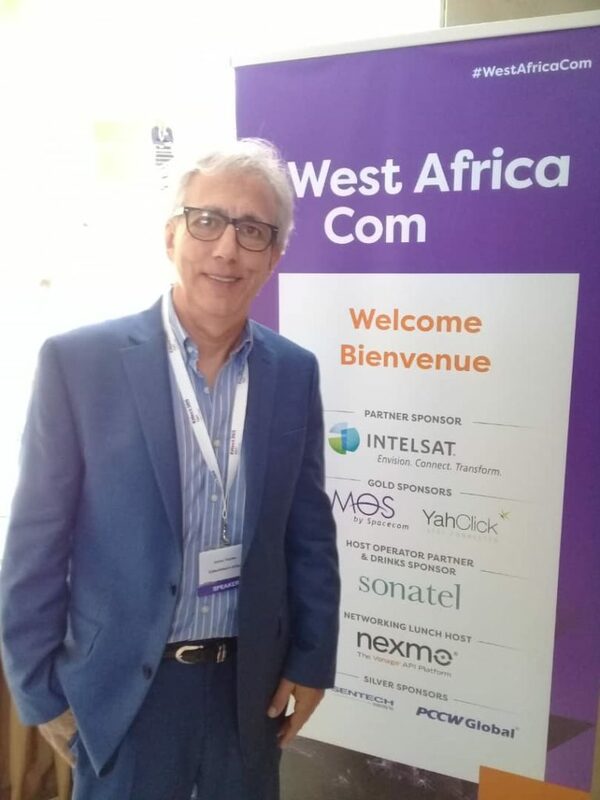 Here are three reasons why, elaborated on by Jim Teicher, CEO of CyberSmart Africa during his keynote panel remarks at WESTAFRICA COM, the premier telecom conference held this week week in Dakar, Senegal. 1. Government(s) are not serious enough about connecting the unconnected: Existing bureaucracies are not structured to benefit from the efficiencies of connectivity and technology. In fact, efficiencies can create unwelcome risks that threaten the socio-economic fabric of West African nations. Understanding these challenges will enable the private sector to advance faster. 2. Telecoms must work harder to leverage government finance extending connectivity to the unconnected. The current model is just the opposite, meaning that governments attempt to leverage external financing to implement a variety of connectivity and technology initiatives. Governments are not in the Telecom business and boundaries need to be better defined. 3. We should not complain that closing the digital divide is too expensive when affordable technologies and solutions do exist. There are ways to bring improved connectivity, information, and knowledge to everyone in West Africa — including rural villages and schools without electricity. CyberSmart Africa has developed an innovative solution to bring advanced education technology to schools without electricity. 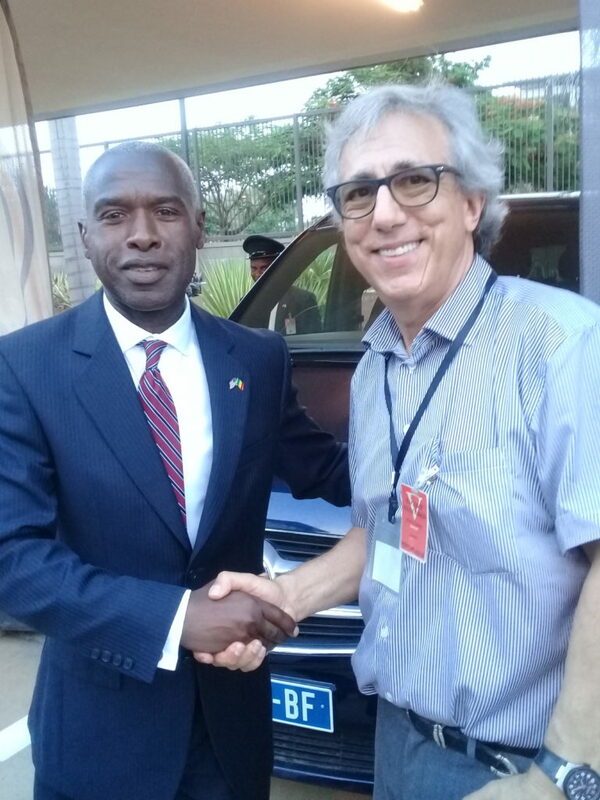 We have proven the concept in Senegal with a model for growth that can achieve massive scale. It’s practical and inevitable that the CyberSmart Digital Learning Platform will one day deliver healthcare education to thousands of schools. But medical treatment will require always face-to-face visits. 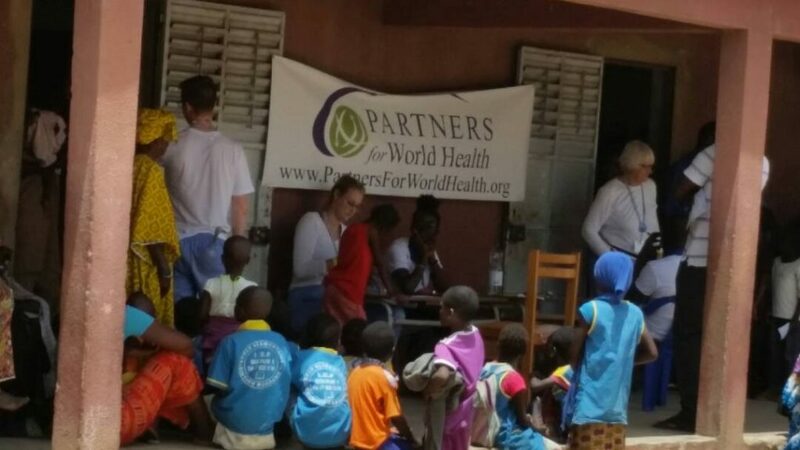 Maine (USA) -based “Partners for World Health” visited our pilot Senegalese school in May to provide on-site medical treatment to students and villagers. Jim Teicher had connected with this wonderful American healthcare group three years ago, and this is their third visit to the school! We so appreciate them!! 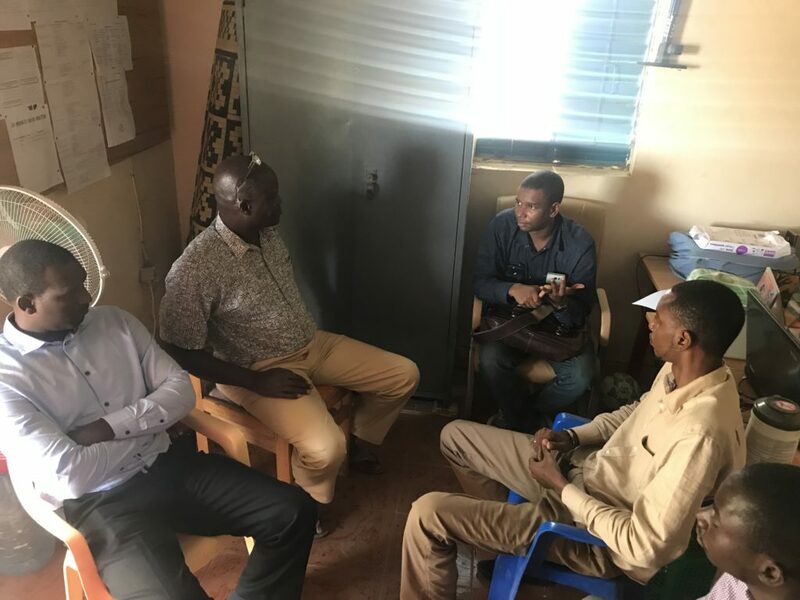 Pictured is El-Houssaine Bah, Education Program Manager for Millennium Promise leading a conversation (in May) with teachers at Ecole Sinthiou Mbadane 1, a rural Senegalese school off the electric grid. We were pleased to welcome our partner to observe an interactive classroom lesson taught using the CyberSmart Digital Learning Platform. 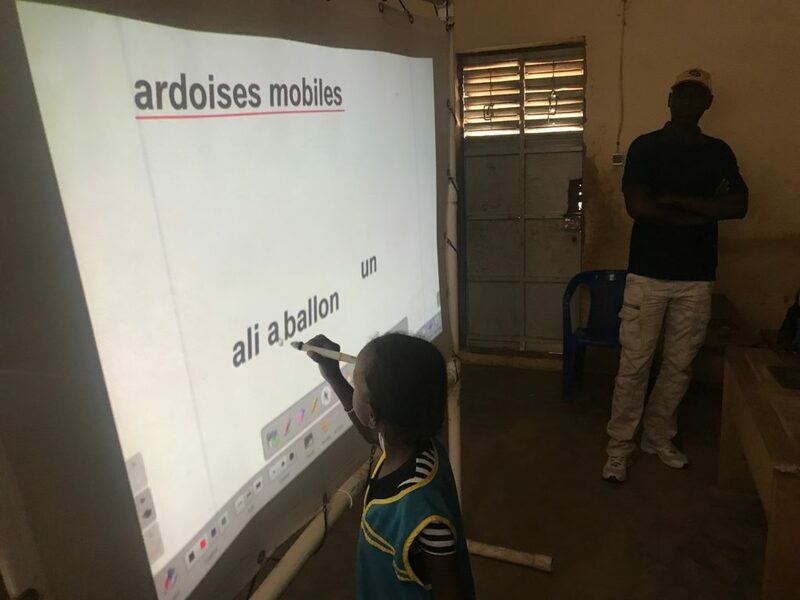 Classroom teacher Mounirou Cisse and his students demonstrated how language learning can be made more effective and engaging in ways that would not be possible without technology. CyberSmart makes this affordable technology possible for schools off the electric grid! We are a long term partner with Millennium Promise and their affiliate The Earth Institute at Columbia University and we appreciate their support. 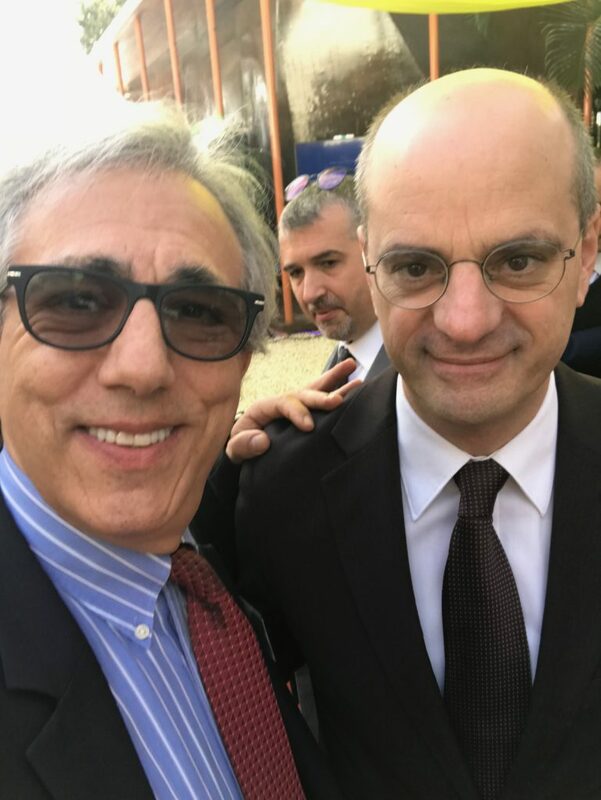 Jim Teicher, Director of CyberSmart Education, met with the French Minister of National Education, Jean-Michel Blanquer, in conjunction with the visit of President Emmanuel Macron to Senegal in early February 2018. They discussed the need for new, more #sustainable ways to use #educational #technologies and established a good, ongoing dialogue. © CyberSmart Education. All rights reserved.